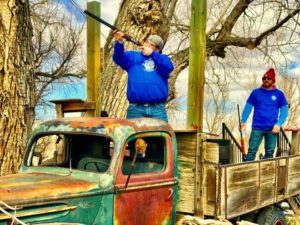 The 2nd Annual TBSP Clay Shoot is April 27, 2019! We’ll be back at Kiowa Creek Sporting Club this year blasting some clay pigeons out of the air to raise money for our Moose Mountain Escapes retreat launching in October 2019. Don’t own your own shotgun? Never fear! Kiowa Creek Sporting Club has a limited amount of guns for rent and ammo for purchase so get your tickets today! REMINDER! The breakfast sponsorship and the coffee sponsorship both come with 2 shooters! Sign up today and lets have a blast!